My middle child, Justin (25yrs), finally moved out to his own apartment a few months ago. Since then, he comes over just about every weekend to wash clothes and conserve his electricity. I don’t usually mind but sometimes he wears out his welcome. I realize this may sound selfish to some, but I’ve been a single mom since I was 16 yrs old and I’m super excited about finally being an empty-nester and I like having my house to myself. Anyway, he was going to take me to lunch and a movie for Mother’s Day but for whatever reason we didn’t go. We’ve talked about going but still haven’t gotten around to it. But this week, he surprised me w/a wonderful gift! 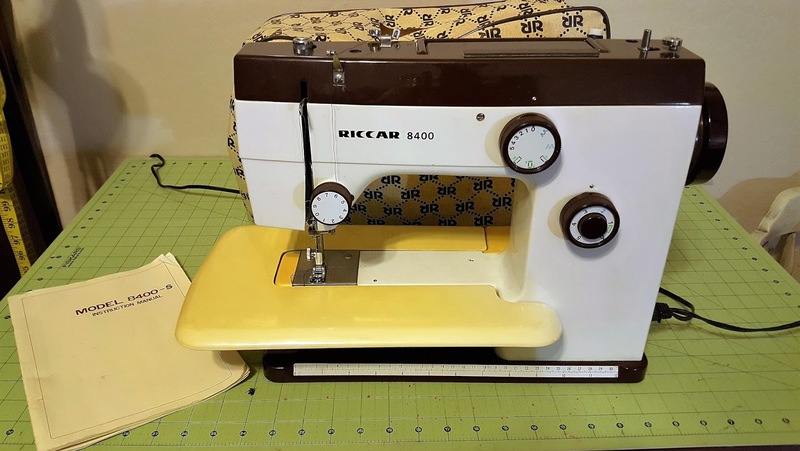 A sewing machine! 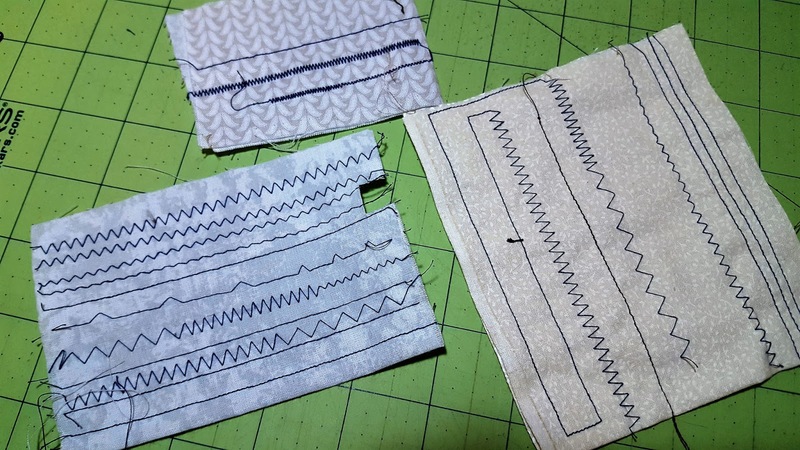 He made friends w/a neighbor at his new complex and during one of their conversations, he told him that I sew/quilt. After his friend found out about me sewing he tried to give Justin the sewing machine and Justin turned it down! But YAY for me, the next time he offered, Justin said why not? And now it’s mine! I’m thinking of a name for her. Maybe this one will be a him. It came in this black case. 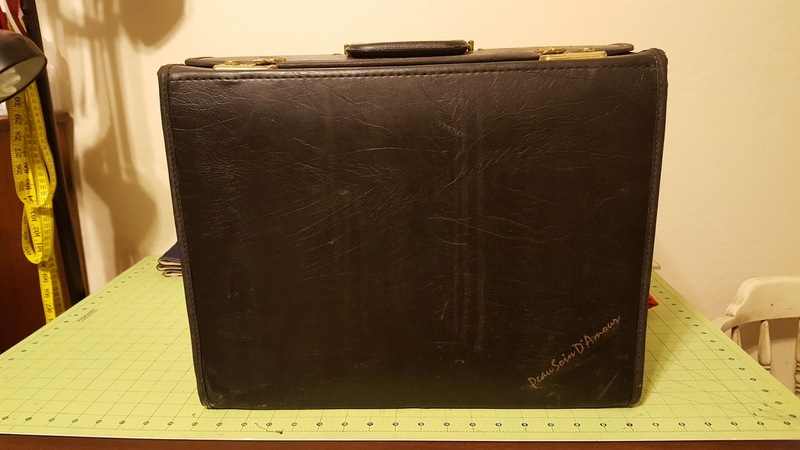 With the words Peau Soin D’Amour on the case, I figured it wasn’t a true sewing machine case. Especially since the machine itself is a Riccar. 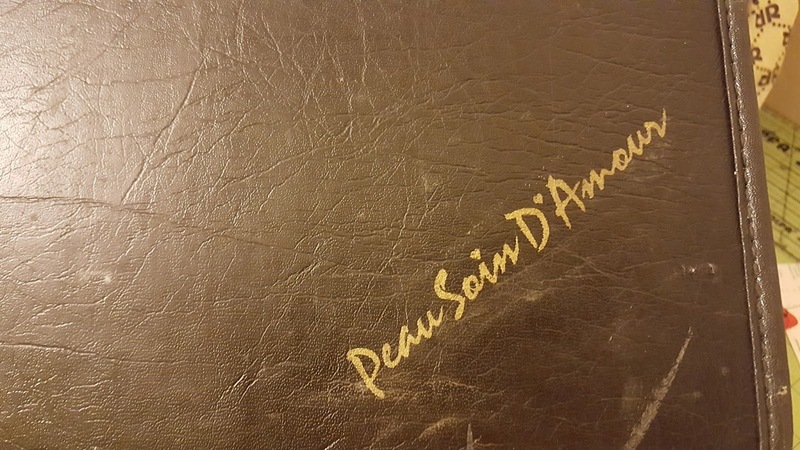 Google later confirmed Peau Soin D’Amour is a brand of cosmetics. It also came w/a vinyl dust cover that is in perfect condition, the instruction manual and extension table. 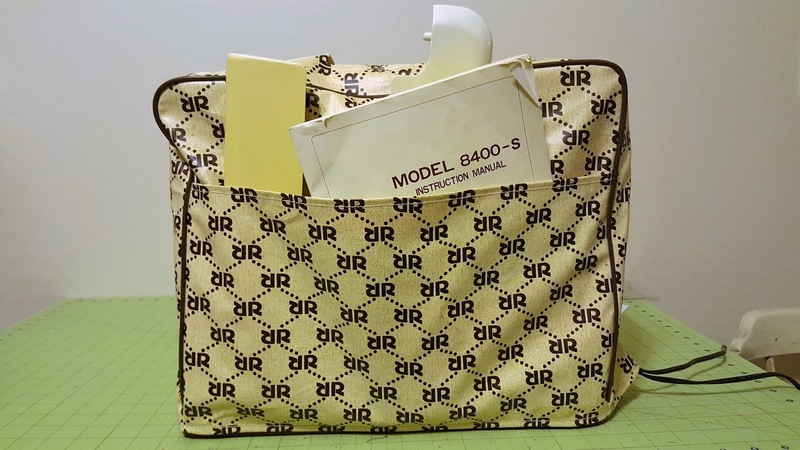 From what I’ve read, which isn’t much, Riccar was once a major Japanese producer of sewing machines but today the company mostly manufactures vacuum cleaners. 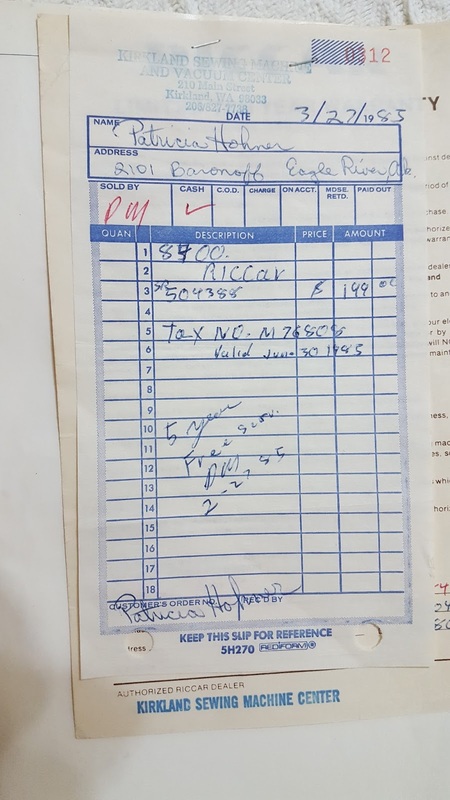 I know for sure the machine is at least 31 years old because the sales receipt that is stapled to the back cover of the instruction manual and it was purchased for $199 cash on March 27, 1985. It’s a clean and solid machine and I’m thrilled it now belongs to me! Thanks Justin! 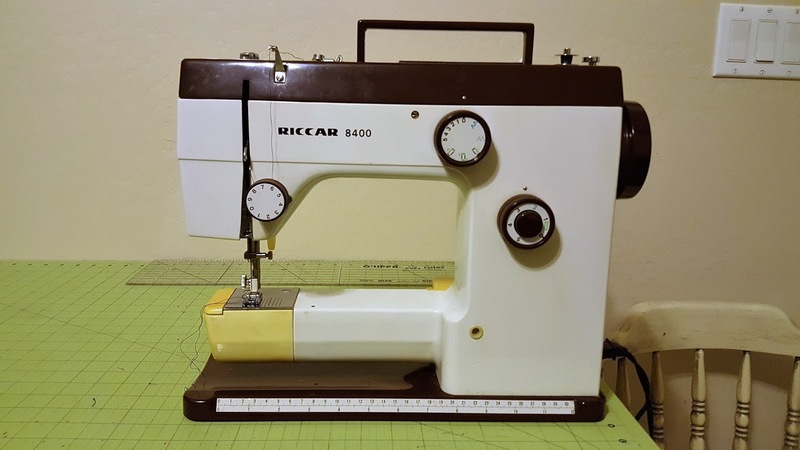 My only other sewing machine is my straight stitchin’ Babylock Quilters Choice Professional (Wilma) so I’m super excited about the zig-zag stitch and the free arm on the Riccar 8400. 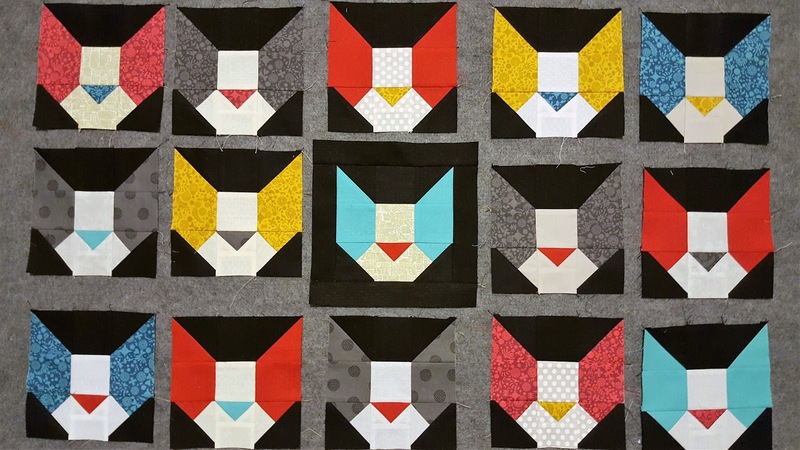 In quilty news, I haven’t gotten as far as I thought I would on Scrappy Litter Blox, but I have made progress! This is a Lillyella pattern and will be available in this month’s Stash Builder Box on June 14, 2016. 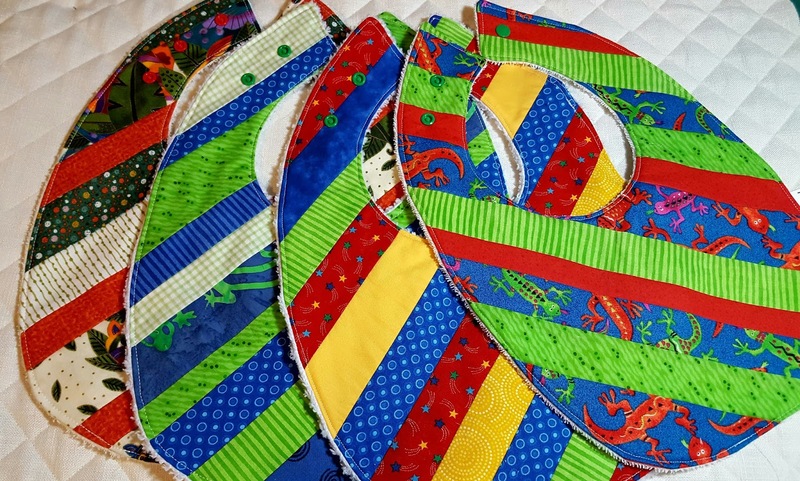 I did manage to finally finish these cute scrap busting bibs and get them listed in my Etsy Shop! 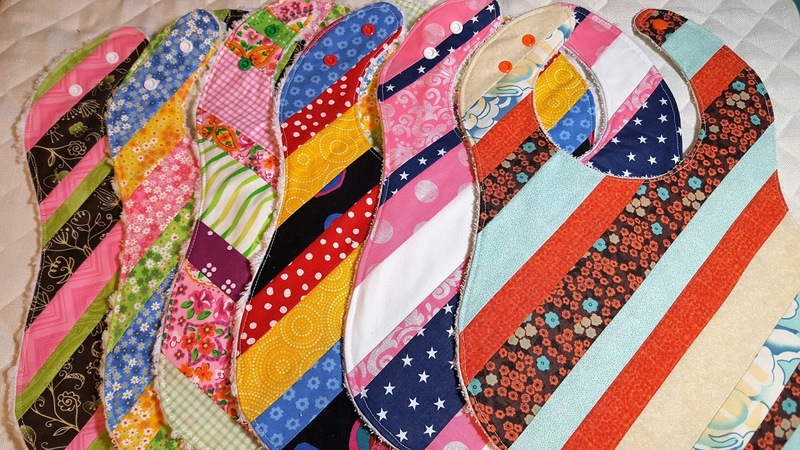 If you haven’t already heard, the amazing Sarah at Confessions of a Fabric Addict is coordinating a blog hop! It’s called 12 Days of Christmas in July and yours truly will be part of it! Hope to see you there! For four days only, you can get any and all classes for 50% off, and that means sunny, inspired afternoons doing exactly what you love. Expires 6/13 @11:59pm MDT. P.S. 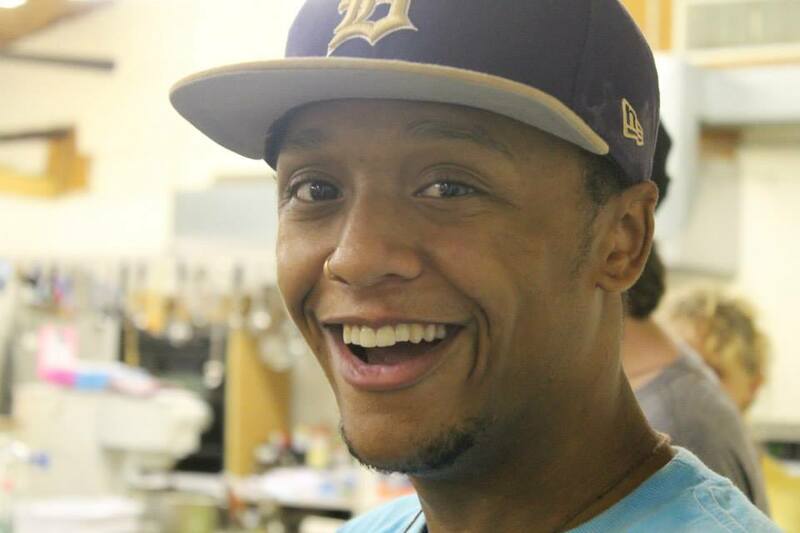 My baby boy Joshua, turns 21yrs tomorrow! Happy Birthday son! I say Halaulla and Amen to one more out of the nest!!! And Such a lovely new machine also! Zenia, there really is a special place in heaven for mothers of boys. So nice that they are growing up and having the initiative to bust out on their own! They work hard. I do not have and fancy new machines but I have a nice herd of Singers, ….and a few others. Your boys are handsome. They look like good boys. All of us need to keep seeking God.